Patti's Podcast - Interview with Audrey Monke, author of "Happy Campers: 9 Summer Camp Secrets for Raising Kids Who Become Thriving Adults." Your daily news update while you're driving around doing your mom thing. Latest episode of The Pickup Line News. 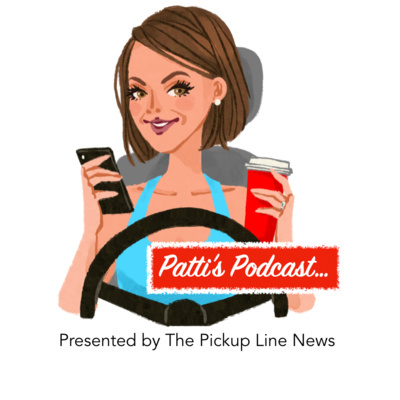 Patti dives deep with her Pickup Line partners -- with a chat about life, family and why they love what they do! Come behind-the scenes and get to know Beth & Heather a little better -- it's good for a laugh or two, too! LISTEN UP! We're about to head off on spring break, but before we hop on that plane... we decided to check in with our talented photographer friend, Jennifer Lavelle. Jen started out as a family photographer and her amazing shots of our newborns still make us swoon! She's now branched out and is shooting for everyone from Serena & Lily to HeyMama... and today she has some professional advice for novices, like us, who want to make the most of the pics we snap of our families! If you don't take care of yourself, you won't be any good to the rest of your family. That's just one simple piece of advice for moms like us from health and lifestyle expert, DR. NANCY SIMPKINS. Dr. Oz, the Today show and so many other national outlets turn to her when they want the real facts -- and now, she's giving us the inside scoop on what we should be doing to feel our best! Latest episode of The Pickup Line Daily News. Our candid conversation with author Amy Carney -- about her insightful book "Parent On Purpose." Latest episode of The Pickup Line News.... Happy Pi Day! Also, the latest on the college admissions scandal, a new ruling against gun manufacturer Remington, easy ways to celebrate St. Patrick's Day, what's next for Jimmy Fallon! Text PICKUPLINE to 22828 to subscribe to our daily email newsletter. Patti gets on the line with Danielle Silverstein of the hilarious podcast "Marriage & Martinis" where no part of marriage and parenting is off-limits. Latest episode of the Pickup Line News. Our 100th episode!!! Patti goes one-on-one with our very own Sweet Melissa to find out what makes her amazing kitchen tick. 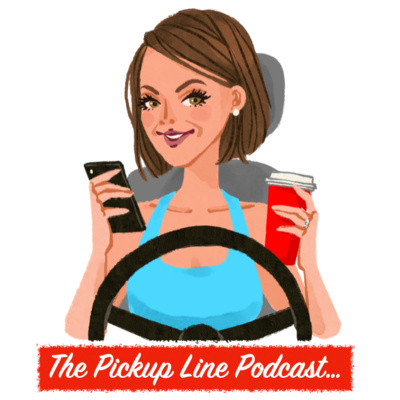 Latest episode of The Pickup Line News! Your daily news update while you're running around doing your "mom thing." Your news update while you run around and do your mom thing. 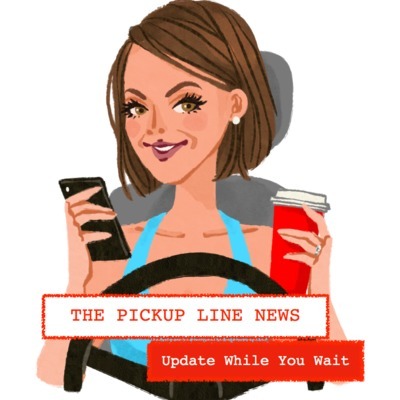 The very first episode of The Pickup Line News - 9/24/18!